Monday, October 22. And so I begin again. 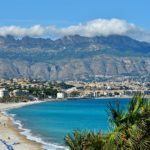 Another trip to Albir, Spain. I began coming here, working with Sheela and Katja since 2012, mostly twice a year for seven years. It’s been a wonderful experience. The place has become quite familiar to me. I am looking forward to it still. I really like being there. 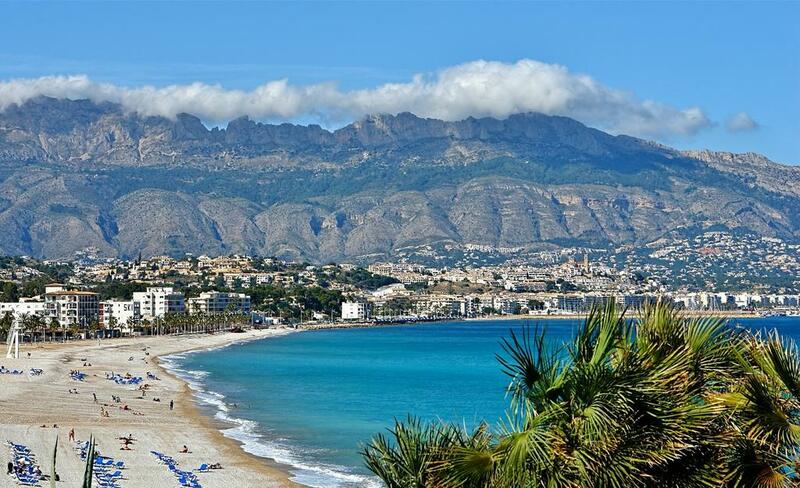 It’s a special place—the beautiful Mediterranean Sea and mountains. I’m so looking forward to seeing my overseas friends and making new ones. I’m looking forward to teaching with Gabriela again. She has such a beautiful spirit and is a wonderful teacher. And I’m looking forward to helping Three Principles people who aspire to help others to become comfortable, confident and effective in helping others see. There is such beauty and wonder in seeing people rise in levels of consciousness. So many reasons to feel grateful for the work I do. But this time I am approaching the trip in a way I’ve never done before. For a few different reasons. For one thing, I can feel myself winding down because at 72 for the first time I feel like I’m beginning to slow down. My body can’t do as easily some of the things it used to do. I figure I’ve only got, what, 10, 15, 20 quality years left? So little time left. What do I want to be doing with the rest of my life? Do I want to keep going in this beautiful direction I’ve been reveling in for the last 27 years, or do I want to officially retire and do something different with the rest of my life? Maybe only do more trainings if they’re in exotic places on my bucket list, like the training retreat and spiritual journey in Peru coming up in mid-March—like, wow, teaching at Machu Picchu, a dream come true. I don’t know the answer to any of this. I’m not worried about it. I know the answer will come, and it will likely end up looking different than I think it will. Another thing is I’d like to spend more time with my partner of now 2 years; thinking of moving in with her. I decided to put my money where my mouth is. I’ve been telling people it’s never the outside world; always our own thinking no matter what is happening out there. So can I move into a nonpeaceful environment (young kids) in a part of the country I really don’t want to be, yet still feel peace of mind and joy in life? Can I actually pull that off? The Three Principles show me that I can. Prove it, Jack. Why would I want to even try? Because that’s where my love is and I want to be with her, even though it may not be easy. I could choose easy at this time in my life, but is that what would be best? We’ll see, but I’m looking forward to the experience…. Plus, for the first time I’m going to Spain with a different mindset (something too personal to write about here). So this time will be different, and I can’t wait to begin. Tuesday, October 23. My body is suffering from being all squashed into torturously cramped seats all night long. Instead of flying Finnair like I thought I was going to, I got stuck on an American Airlines plane instead, and I had said never again would I fly any American airlines flight overseas; they are simply inferior to any European airline except Ryanair. Then due to a miscommunication, no one was at the gate to pick me up where they always have been in the 13 times I have come here. Apparently I had not read an email carefully enough that explained this. So I waited for over 20 minutes, not really knowing what to do because I didn’t have their phone numbers with me. Finally, I saw Sheela coming down a flight of stairs. Relief. By this time, with lack of sleep, I was really feeling grouchy. Took a little 10 minute nap in the car on the way back, which helped a little. But when I began to see people I felt like I was looking through a very thick fog. Yet the only way to get over jet lag is to force myself to stay up until bedtime, so that’s what I had to do. I felt completely on the ropes. I did manage to force myself to take a walk/run up to the lighthouse, that great walk around here. While walking, I did a little planning for my retreat. That felt good. Then I took a bath; that felt even better. But after dinner I zoomed up to bed, only to find that the final e-brochure of my Peru trip/training retreat/journey had come out, so I needed to get it posted right away and sent out to people on my mailing list that I thought might be interested. By this time it was after 10:00 and I was so happy to get to sleep.